Dr. Zakir Hussain was the third President of India, a great educationist and thinker and top of all a staunch follower of Gandhian principles and philosophy. Dr. Zakir Hussain was born at Hyderabad on February 8, 1897. His father’s name was Fida Hussain Khan. After completing his early education at the Islamia High School at Etawah, he joined the Anglo Muhammadan Oriental College (Now Aligarh Muslim University) for higher education. In 1918 he cleared his graduation (Honours). But he quit study on the call of Mahatma Gandhi during the Non-cooperation Movement. Later in 1920 Hakim Ajmal Khan, Dr. Zakir Hussain and many other teachers and students founded the National Muslim University which turned out to be the [amia Milia Islamia University in New Delhi. Dr. Zakir Hussain served that educational centre as a teacher for two years from 1920 to 22. He went to Germany to gain higher educational goals in 1923. He returned to India in 1926 with a doctorate degree in Economics from the Berlin University. He joined the [amia Milia in 1926 as its head and revived its dignity and fortunes which declined considerably in his absence. He dedicated many years of his life to establish it as a top-ranked educational centre and succeeded in it. He poured his immense educational experience in formulating the Basic National Education Scheme which was launched in 1938. He propagated the teachings and ideals of Mahatma Gandhi and Hakim Ajmal Khan in the university and nurtured the Indian youth with the spirit of nationalism and patriotism. In this way, he served his country in the national movement through the tool of education. He remained the President of the Hindustani Talimi Sangh, Sevagram from 1938 to 1948. He was appointed Vice Chancellor of the Aligarh Muslim University in November 1948. He was also nominated a member of the Indian Universities Commission. The World University Service made him the chairman of the Indian National Committee and in 1954 he was elected the World President of the Organisation. He was also nominated to the Rajya Sabha. He was also the Indian representative on the Executive Board of the UNESCO from 1956 to 1958. He also served the Central Board of Secondary Education as its chairman and remained the member of the University Grants Commission. At this time, he had become an eminent educationist, enjoying pan India popularity and worldwide fame. He was appointed the Governor of Bihar in 1957. He remained on this post till 1962. In 1962, he was elected the Vice President of India. After completing his five-year term as the Vice-President of India in 1967 with great constitutional dignity and grace, he was elected the President of India. But he could not complete his five-year term as the President of the Republic of India as he passed away on May 3, 1969. Dr. Zakir Hussain was a great intellectual mind, an eminent educationist and a nationalist leader who dedicated his life to the field of education. 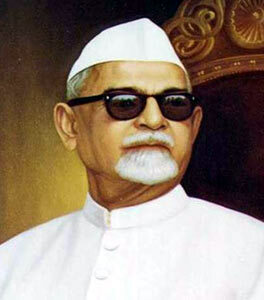 Dr. Zakir Hussain was the third President of India and the first Muslim to occupy the top constitutional post of India. He was one of the founding members of the Jamia Milia Islamia University. In 1954, he was honoured with the Padma Vibhushan. He was decorated with the Bharat Ratna, the top civilian honour of India in 1963. He translated Plato’s ‘Republic’ and Cannon’s ‘Elementary Political Economy’ into the Urdu language. 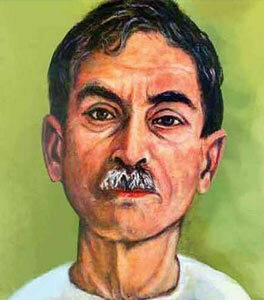 Munshi Premchand was a luminary literary figure of modern India. He used literature as a tool against the British oppression to awaken the Indian youth. Munshi Premchand was born on July 31, 1880, at Lamhi, a village near Varanasi. His real and childhood name was Dhanpat Rai Srivastava. His father Ajaib Rai was a post office clerk. His mother’s name was Anandi Devi. He received his early education at a Madarsa from a Maulvi who taught Premchand Urdu and Persian. Despite poor financial position, Premchand completed his B.A. He got job offer of an assistant teacher at the Government District School in Bahraich in 1900. Around this time he had started writing stories and fictions in Urdu. He wrote his initial stories and novels under the pen name of ‘Nawab Rai’. His first short novel was ‘Asrar e-Maabid’ which was published in a series in the Urdu weekly ‘Awaz-e-Khalk’. His stories and novels were loaded with the anti-British sentiments, Indianism and mood of social reforms. His short story collection ‘Soz-e-Watan’ published in 1907, was banned by the British government for its huge anti-British content and tone. He was forced to relinquish the pen name of Nawab Rai. Now he adopted ‘Premchand’ as his pseudonym but he did not quit writing against the British rule. By the mid-191Os he had become a prominent writer of Urdu. He also started producing stories, essays, novels etc. in Hindi in 1914. Premchand joined the Normal High School, Gorakhpur as an Assistant Master in 1916. ‘Seva Sadan’ was his great Hindi novel, published in 1919. It helped Premchand gain fame and recognition in the literary world. Munshi Premchand resigned from the post of Deputy Inspector of schools during the Non-cooperation Movement to give his full support to Mahatma Gandhi though he had a family to look after. He then moved to Varanasi to give full attention to his literary career. He set up ‘Saraswati Press’ there in 1923. He released his novels ‘Nirmala’ and ‘Pratigya’ which were chiefly based on women-centric social issues like dowry and widow remarriage. He launched a literary- political weekly magazine titled Hans in 1930. He propagated his nationalistic ideas in the magazine, inspiring Indian youth for freedom struggle of India. He also served Maryada magazine as an editor. He also moved to Mumbai to write scripts for movies. He wrote the script for the film ‘Mazdoor’ (The Labourer). ‘Kafan’ and ‘Godaan’ were great literary achievements of Premchand in his last phase of life. Premchand died on October 8, 1936. Premchand earned huge recognition and fame in Hindi as well as Urdu literature. Godaan was the magnum opus of Munshi Premchand. It is considered the greatest novel of the 20th-century Indian literature. Apart from ‘Godaan’, ‘Seva Sadan’, ‘Premshram’, ‘Rangbhoomi’, ‘Karrnabhoomi’, ‘Nirmala’, ‘Caban’, ‘Kayakalp’ and ‘Pratigya’ are his great novels. He actually developed novels in Hindi literature and established it as a complete literary genre. ‘Karbala’, ‘Prem Ki Vedi’, ‘Sangram’, “Tajurba’ are some great plays by Premchand. He introduced realism in the literature. He picked characters of his novels and stories from common people and society to give a realistic touch to the characters. It is the reason why ‘Hamid’ of ‘Eidgah’, ‘Boodhi Kaki’ and ‘Haiku’ of ‘Poos Ki Raat’ represent the real face of the society. King Harsha Vardhana was one of the most prominent monarchs of North India in the post-Gupta age. He was the greatest and ablest ruler of the Pushyabhti dynasty of Thaneswar in the 7th century. Harsha Vardhana was the son of King Prabhakar Vardhana, a powerful ruler of the Pushyabhuti dynasty. Harsha’s elder brother Rajya Vardhana became King after Prabhakar Vardhana. Rajya Vardhana was killed by Shashanka, the ruler of Gaud (Bengal) during a campaign against Deva Gupta and Shashanka. After the murder of his elder brother Rajya Vardhana, Harsha Vardhana ascended the throne of Thaneshwar with the consent and support of councillors of the State in 606 AD. The Harsha era started from this year. After becoming King, Harsha decided to crush the power of Shashanka and Deva Gupta. He first rescued his widowed sister Rajyashri who was set free by Deva Gupta after torture. He launched a successful campaign against Shashanka and his allies and captured Kannauj. He annexed Kannauj in his Kingdom and made it his new capital. He got support from Bhaskar Varman, King of Kamrupa in his campaign against Shashanka. But Harsha could not get decisive success against Shashanka as he continued to ruler over the greater part of Bengal till 637 AD. After the death of Shashanka Harsha got success in that region. The armies of King Harsha and Bhaskara Varman attacked Bengal after the death of Shashanka and succeeded there. East Bengal was captured by Bhaskara while West Bengal went to Harsha. Thus, Harsha secured his Kingdom’s eastern boundary. Harsha succeeded in consolidating his position as a powerful monarch by numerous military campaigns. He got some success against Dhruvasena II, the ruler of Vallabhi (Gujarat) on the western part of his Kingdom. However, Harsha ended the rivalry between the two Kingdoms with marriage of his daughter to Dhruvasena. It was a big diplomatic success of Harsha to secure his western border. Harsha Vardhana’s attempt to increase his political authority in South India was effectively checked by the Chalukya King Pulakesin II. The battle between Harsha army and Pulakesin II forces took place near the bank of the Narmada river. Harsha was forced to retreat. However, Harsha established himself as a powerful ruler of a large part of North India. The empire of Harsha included Eastern Punjab, Uttar Pradesh, Bihar, West Bengal, Orissa. He enjoyed his authority in many other regions like Vallabhi, Kutch, Kamrupa etc., though these parts were not in his Kingdom. Though Harsha was not the supreme power of whole of North India and he was not as great and powerful as Samudragupta, Chandragupta II etc., it can be easily accepted that he provided political unity to a large part of North India and filled political vacuum after the decline of Guptas to a large extent. He successfully ruled his Kingdom from 606 AD to 647 AD. Harsha Vardhana was also known as ‘Siladitya’. He himself was a great scholar. He wrote three plays-The Nagananda, The Ratnavali and The Priyadarsika. Harsha patronized art and literature in his Kingdom. ‘Banabhatta’, the seasoned author of the Harhacharita and the Kadambari and scholars like ‘Maurya’, ‘Divakara’ and ‘[ayasena’ graced the royal court of Harsha Vardhana. 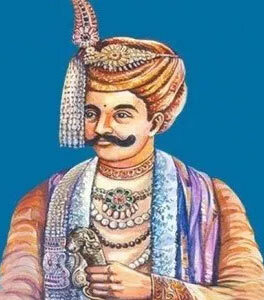 Harsha assumed the titles of Maharajadhiraja and Param Bhataraka. Famous Chinese traveller and pilgrim Hieun-Tsang came to India during his reign. Harsha patronised him. Harsha was a Shaiva by faith but he showed equal respect, tolerance etc. to other religions also. He showed interest in Buddhism and accepted many of its teachings. He organized two religious assemblies in Kannauj and Prayaga in 643 (AD. In Kannauj he organized the assembly in honour of Hieun- Tsang and popularised Buddhism. 2. पिछले दशक में देश के किस राज्य की जनसंख्या वृ​द्धि दर न्यूनतम रही है?